They are deliciously flakey and actually not too sweet. They are also super quick and easy to throw together! They use my Apple Pie Jam as the filling but you could substitute with a bought apple jelly if you preferred. I would add a pinch of cinnamon to it though for maximum tastiness! 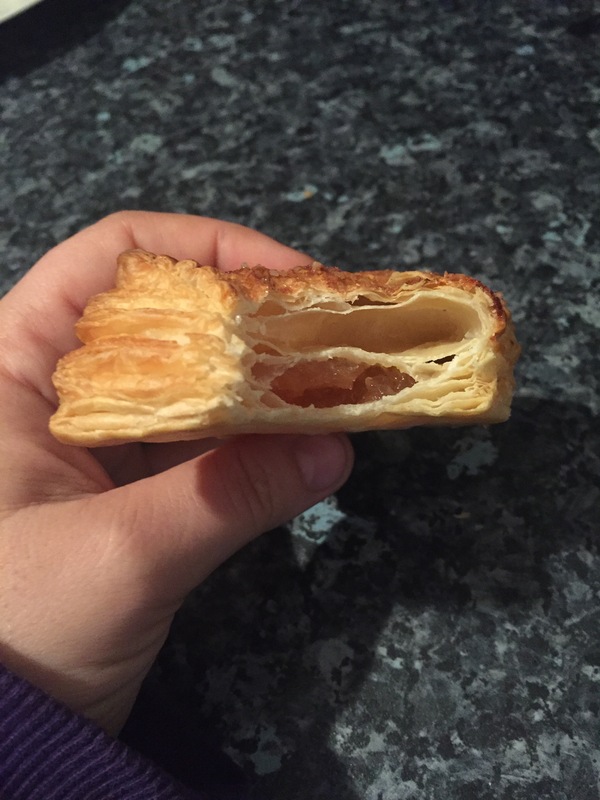 I also use bought puff pastry because nobody outside of the Great British Bake Off tent has time for that nonsense! Heat the oven to gas mark 6 and line 2 baking trays. 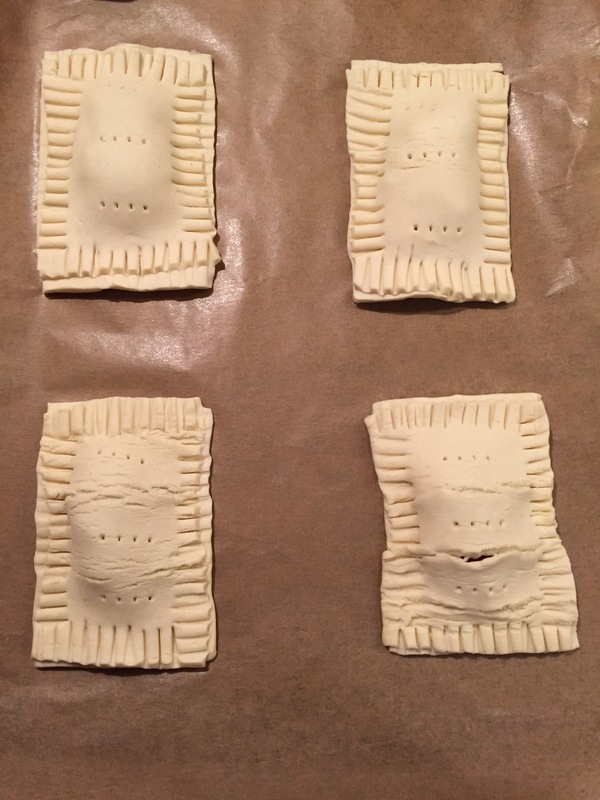 Cut your pastry into 16 equal pieces. Put a spoonful of jam in the centre of half of them. Prick the remaining slices with a fork to make little holes in the top. 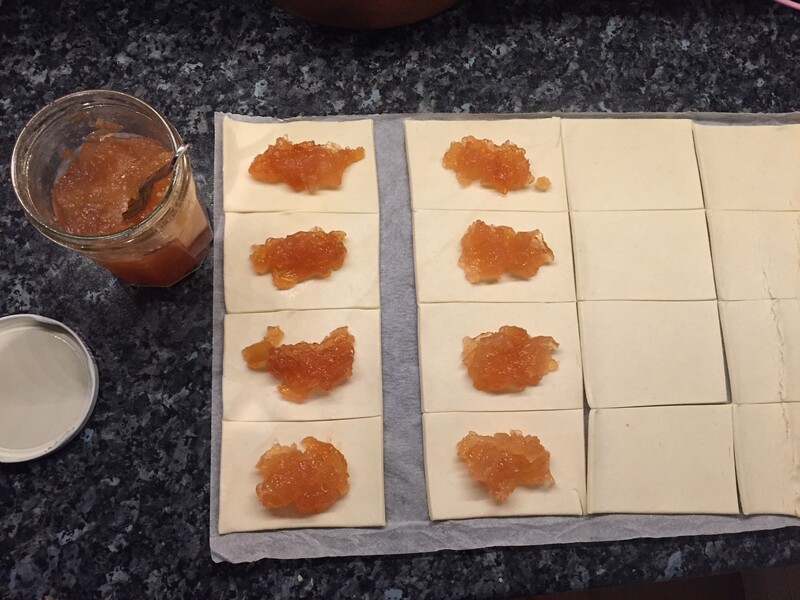 Put these pieces on top of the jam ones and press down all around with a fork to crimp the edges closed. Brush the tops with milk and sprinkle with sugar. 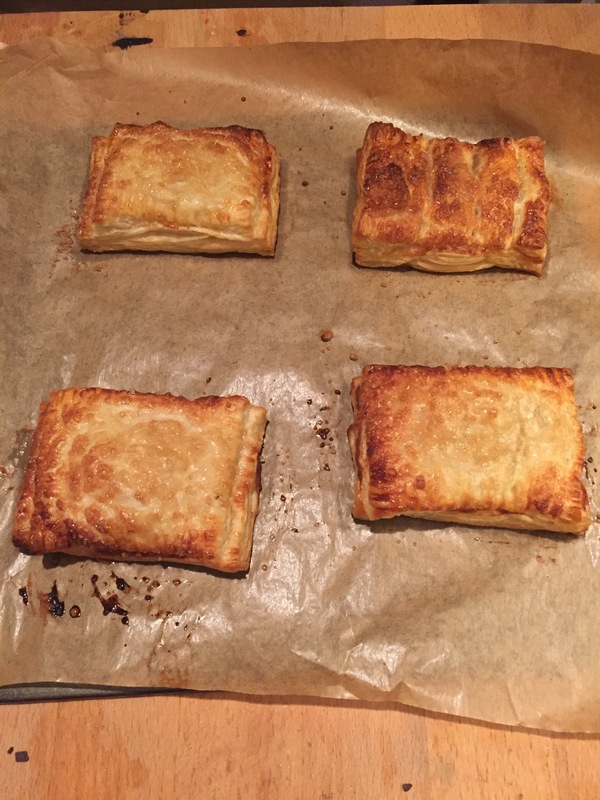 Bake for 20 minutes until the tops are golden brown. You will probably have to switch the trays over halfway through if they are on different shelves. Remove from the oven and allow to cool a little before you eat them. They are equally good cold!